At the actually rather enjoyable meeting of National Capital Presbytery Tuesday night, much of the event revolved around the reflections and insights of the inimitable John Bell. Bell is a minister, a musician, and a member of the Iona community, an intentional community of Reformed Christians. 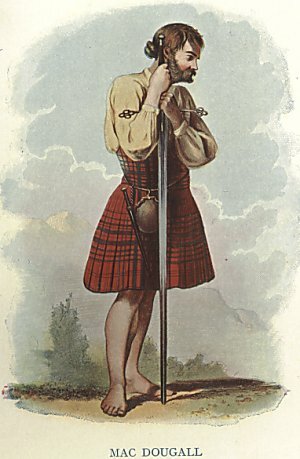 He is also, without question, a Scotsman. He was born in Scotland. His community and work are in Scotland. His fashion sense was clearly not Continental. And when that sweet brogue hummed through the air of the church, there was no question. We were in the presence of a Scot. It was so obviously so that the Vietnamese-American elder from my congregation who attended with me admitted afterwards that he'd had some real trouble understanding what was being said at first. I adapted more easily, either because that brogue hums in the quarter of my blood that remains fiercely MacDougall or because I was exposed to so much of it from the lips of the Rev. Dr. George MacPherson Docherty as a wee laddie in tha kehrrk of ma bairth. If you have any real knowledge of a thing, you can just tell what a thing is. You know the truth of it. Which is why I'm amazed at how virally the adolescent everybody-look-at-me self-indulgence of tamtampamela spread in the blogosphere. Lil' Ms. Pamela was a particularly successful YouTube troll, one of those benighted souls who say horrible things for the sole purpose of getting attention. The short videos she posted were all faux fundamentalist pronouncements. She sang little songs about people burning in hell, which she claimed had been taught to her in Sunday School. In her second to last video, she pretended to celebrate the deaths of all of the Japanese who lost their lives in the earthquake and tsunami, "praising God" for killing them. The video went viral, and was so beyond the pale that in addition to the usual outrage, she drew the attention of 4Chan, which found her home address and phone number and posted it. She then put up a short video admitting, unrepentantly, that she was just a troll, she didn't believe a word she said, and that this wasn't fun anymore. After which she fled. What gets me, though, is the readiness of folks to believe that she was actually what she said she was. Having seen the video, it immediately set off troll bells. First, her attitude was wrong. Not earnest, if you will, but a bit sly and smiling. It was just off. She didn't sound or act like a zealot. Second, she didn't dress like someone who said what she said. Leaning into the camera while wearing little spaghetti strap tops is highly anomalous among religious ultraconservatives. Most important, though, was what she claimed to believe. That smug, sly, teasing hatred is utterly alien to the Jesus experience. It was so far beyond the pale of Christian thought and practice as to be clearly Not Christian. Here, of course, a committed anti-theist might offer up Flew's 1975 No True Scotsman argument. That line of reasoning suggests that it is a fallacy to suggest that simply because a thing doesn't meet one criteria for inclusion in a group, it can be excluded from that group. Example: 1) Scotsmen are sky clad under their kilts; 2) But my Uncle Hamish wears tighty whiteys under his Campbell Tartan; 3) Well, true Scotsmen would do no such thing. This argument surfaces often when Christians argue that Westboro Baptist isn't Christian. When you say, well, they aren't Christian because their actions and beliefs are alien to us, the counter comes: "Hah! That's the No True Scotsman fallacy! You're just excluding them because they're inconvenient." There is, in argumentation, some validity to that. But some categories are meaningful, and even worldviews as multivalent as Christianity do have discernable boundaries. You cannot, for instance, claim to be an atheist and a Christian. Well, you can claim it. But doing so is like me claiming that I am a single celled eukaryote. It requires not just moving outside of species, but of phyla and kingdom. If enough distinguishing features are missing, then something no longer can be meaningfully categorized as being part of the group that shares those features. With tamtampamela's trolling, the issue was being able to...from observation of actual Christian behavior...critically assess that her behavior was so anomalous as to be outside of Christianity as a meaningful category. As Hemant Mehta, the vigorously atheistic blogger over at thefriendlyatheist put it as he expressed skepticism about her motives: "...I don’t know a single Christian who would agree with what she says." He's no lover of faith, and he spends much of his energy attempting to debunk faith in active debate with Christians. But from his ongoing interactions with Christians, he knew a false Christian when he saw one. It's a pity that more folks weren't able to similarly see past the falseness.